Everybody will agree that parents play a vital role in the lives and successes of their children with disabilities (CWD). Since these children can’t represent themselves, parents represent their children in meetings, conferences, foras and organizations; parents assume the role of advocates. 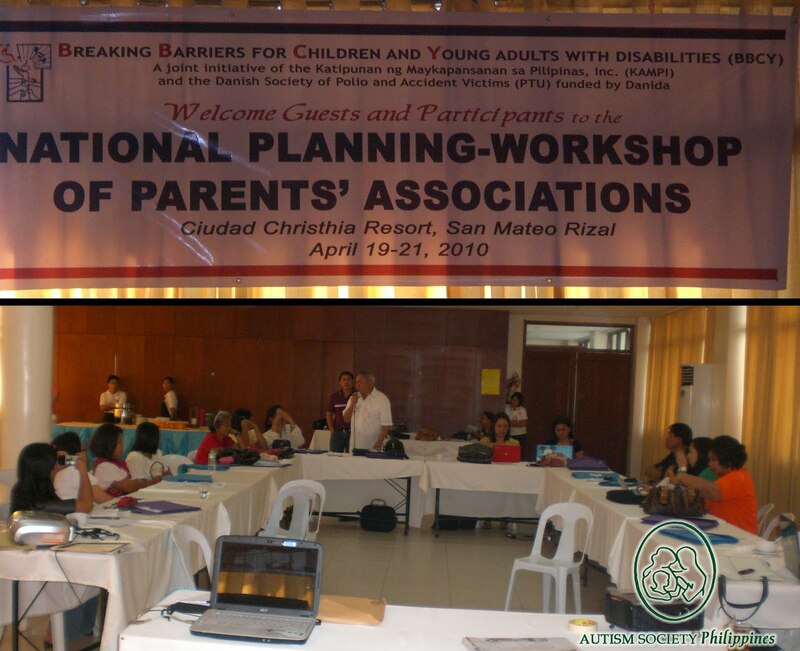 The recent passage of the UN Convention on the Rights of PWD (UNCRPD) affirmed the crucial roles of parents in all facets of their child’s development and to represent their children in any organization or body. The convention also challenges the parents to be active and vigilant in claiming their and their children’s rights as provided in the UNCRPD. In response, to this situation and the challenges of the UNCRPD, the Katipunaan ng May Kapansanan sa Pilipinas (KAMPI), through their Breaking Barriers for Children and Youth (BBCY) Project, organizes parents in their project areas around the country. ASP was visited by 10 parent leaders from BBCY last February 22. With them is Dr. Adora del Rosario, ASP member and former president of The Stimulation and Therapeutic Activity Center (STAC), Quezon City. ASP Executive Director Ranil Sorongon gave a short orientation to the group about ASP programs and services. He also gave practical tips on how to organize and maintain an organization. The group was amazed on how from a team of 11 mothers, ASP has grown to 42 Chapters around the country. Sorongon was then invited to their forthcoming assembly and planning. On April 20, Sorongon joined the more than 30 parents at Cuidad Christia in San Mateo Rizal and helped the group in coming up with their activity plan. He also gave inputs on advocacy, in dealing with PWD organizations, government agencies as well as the management of their organization and its sustainability. Acknowledgments: Ms. Hazel Borja, Program Manager and Ms. Visitacion Apostol, Project Director.